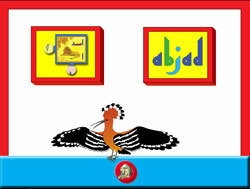 This bilingual, windows compatible, CD-ROM is one of the crowning achievements in the Abjad product line. 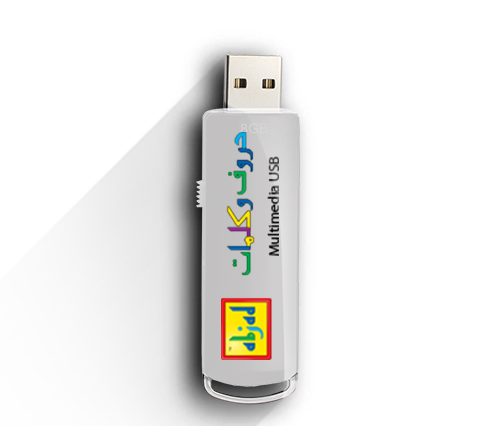 Giving interactivity a new dimension, this bi-lingual CD-Rom truly does make learning fun and easy! 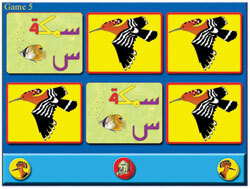 With the Hoopoe as a guide, children can choose to enter into a wonderful adventure with the letters or play any of the three games instantaneously The user friendly interface in the letters section makes it easy for children to choose any letter they wish to view. 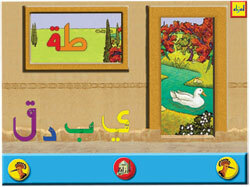 The letters introduce themselves and talk about their special characteristics as in the Abjad Letters Book and Tape. 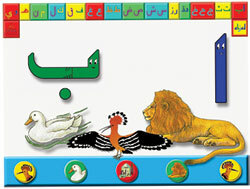 The representative animal buttons on these pages takes children into the word page which in an interactive replica of the Abjad Animals Book and Cassette Tape. 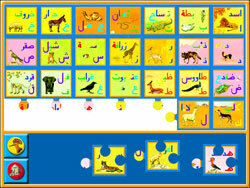 Children can jump ahead, go back, re-listen to what they heard before and switch language all with a simple push of a button.